Two anime franchises that have a large following are One Piece and Sword Art Online. Fans of these anime will be happy since both franchises are coming to mobile devices. 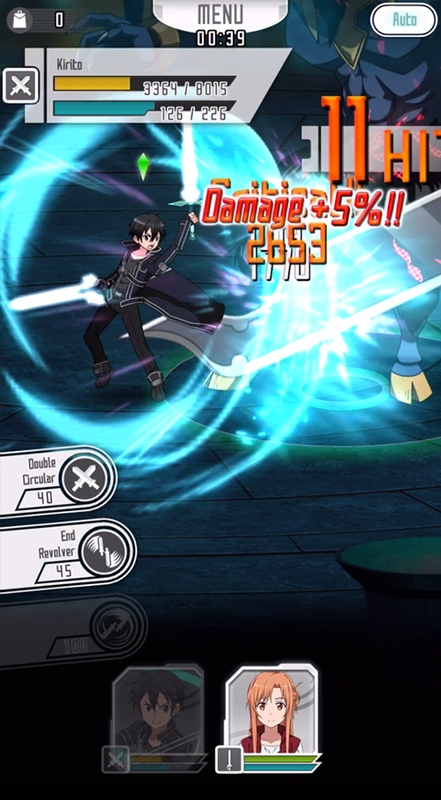 Players will be able to play as Kirito, Asuna, and other popular characters from the SAO universe in Sword Art Online: Memory Defrag. This game will feel like it’s pulled from the SAO universe but at the same time will have a brand new story. Act quickly because there will be special limited items and character unlocks available. Players will control the action by flicking and tapping the screen and you’ll be able to specialize the controls your way. Jump ship with the Straw Hat Pirates in One Piece: Thousand Storm and search for treasure. You’ll also be able to play in multi-player battles with friends in real time. You’ll also be able to use scene cards to develop your favorite characters in this action RPG on your mobile device. Pre-registration for this mobile game was so well received that players will be getting their hands on some nice in game items. Download the game and finish the tutorial mode and then you can get your hands on a lot of sweet pirate treasure!